Video games might be lucrative, but it’s not always easy to figure out all the terminology means. If you don’t know the difference between an FPS and an RPG, or an emote and a cutscene… Well, you certainly wouldn’t be the first! Normally top down view, often wargaming, but could be running a power station or theme park. Involves managing resources in real time to achieve a goal. An extremely popular style of game where the perspective is first person, as if through the eyes of the ingame character. Sometimes nothing of the character is visible, on other occasions hands with weapons are visible and the player can see some of their body when they look down, or press to interact with ingame objects. Shooter refers to the style of the game play – the gaminig is predominantly fighting with ranged weaponry. While the FPS is predominantly concerned with fast-paced action, an RPG takes longer to unfold. There are likely to be action sequences, often combat, sometimes challenges such as climbing. The player will gnerally be required to have much more of a relationship with the ingame world than in an FPS. To advance the player will need to talk to NPCs (Non-Player Characters), find and use objects, and solve puzzles to advance. While an FPS often makes the main character invisible, most modern RPGs allow extensive modification of the player’s character to customize it to their own preferences. In a third person game the player can see the character they are playing onscreen. The action is viewed as if from behind the character’s shoulder. An online game that involves many people accessing the same game world at the same time. A cutscene is a non-interactive section of a game. This is generally used to tell story and to set up the key gameplay points for the next level i.e. Get to that bridge! A scripted event is an interactive cutscene. Here the player retains control while an event they don’t control such as a building collapsing, a plane flying by, or someone appearing on a balcony takes place. This is dialogue that happens during the interactive sequences. The player will retain control as they hear pedestrians talking as they walk by, enemy soldiers calling orders, or companions calling warnings. Emotes are sounds rather than words such as a scream, a grunt, the effort sound of lifting; these are emotes rather than lines. Dialogue which the player triggers themselves by pressing to interact with characters in the game. A non-player character is one that the player does not control. They could be an enemy, an ally, or neutral in terms of their approach to the player character. 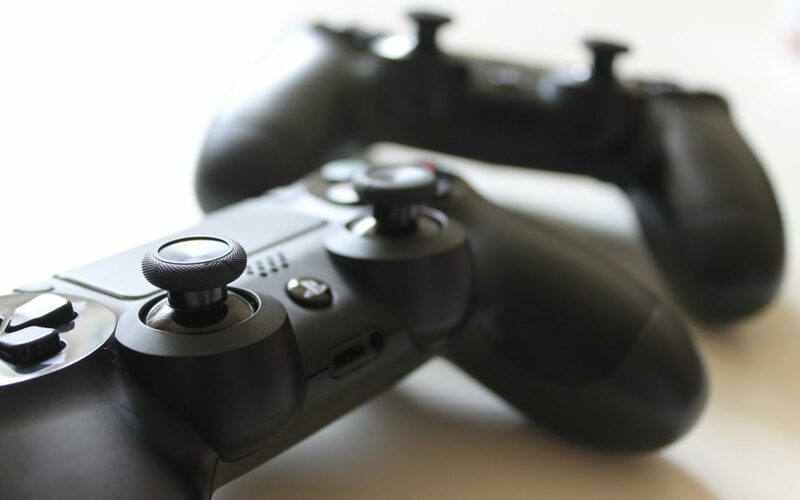 With any luck, you’ve now got a better grasp of the gaming terminology a writer needs. If you really want to take your writing to the next level, we’d recommend get Elite Mentoring from Mark Brendan himself! Take a look at Jamie White’s thoughts on writing for video games too in this article, where there are plenty more hints and tips to be found! 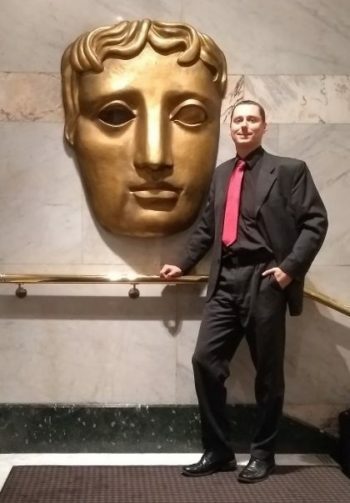 This is a great time to be getting involved in writing for video games; WriteMovies is still looking for scripts for both films and games to be directed by 2x BAFTA winner and 2x Oscar nominee Habib Zargarpour, too, which can be submitted to our Winter 2019 Contest. Pitch meetings, success stories, and more VFX-driven scripts wanted for a 2x Oscar nominated director! Following on from Alex and Habib’s successful tour of Hollywood, we’re still looking for more great VFX-driven scripts for Habib to direct. We’re in discussion with many studios to confirm the next wave of projects and welcome more submissions through our Winter 2019 Contest. The movie we made in 2007, THE LIST, is now back in our hands after ten years in a distribution deal with Warner Bros. This charming romantic comedy stars Wayne Brady (WHOSE LINE IS IT ANYWAY?) and Sidney Tamiia Poitier (DEATH PROOF), and includes a breakout role for Jane Lynch as a TV dating guru which helped lead to her iconic role in GLEE. We’ve had several meetings and enquiries with distributors and sales companies keen to take this project further. THE LIST is a great example of our work as a full circle: script agency and production house. With our contests and consultancy services including elite mentoring, we offer entry to the market from just $39 and can carry your project all the way through production, distribution, and “the long tail”. Enter now with your VFX driven or any other genre of script to take it to the next level and break through to success. We’ve also recently had pitch meetings with many companies including Film4 and several of our winners’ projects have been going from strength to strength! Evan Cooper, who placed third in our Summer 2017 Contest with his script BALLERINA GIRL, has turned writer-director with his new project THE WILL O WISP. REMOTELY WORKING by Bill Baber, which took the Best Short Pilot award in our most recent contest, is currently in post-production having been filmed in September! The second placed script from our Spring 2017 Contest, THE FACTION by Kevin Karp, is currently in development with Lone Pine Productions. We guarantee pitching to industry for the top three scripts from our competition – so enter our Winter 2019 Screenwriting Contest today from just $44, and you can follow in the footsteps of our past winners and get your script out there! Katie Porter is an aspiring writer, movie lover, and part of the team at Seatup. 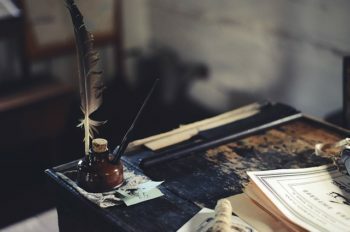 The screenwriter is the often overlooked creator of the world we experience when we take our seat in the movie theater; ready to be dragged into the adventure, intrigue, comedy, and tragedy. 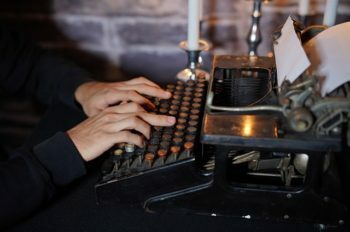 The anonymity of the screenwriter is part of the attraction for many – living in the spotlight, under the scrutiny of the swarming Twitterati and critics isn’t that appealing to everyone. There are lots of incredibly famous screenwriters whose work goes beyond the typewriter to other, more glamorous and more famous roles – Quentin Tarantino, Billy Wilder, Woody Allen, the Coen Bros, Francis Ford Coppola. But there are just as many guys and gals who create the expansive world of our favorite movies – sending us to the extremities of the universe or the stories of friendships and achievements – who are just getting on with their normal lives: putting out their trash, cleaning their windows, and simply enjoying the luxury of being anonymous. So buckle up, for this is quite an unexpected ride – our list of not-so-famous writers of movies that had big impacts at the box office. Melissa Mathison wrote the screenplay for one of the all-time favorite family movies – E.T. the Extra-Terrestrial (1982), in which she also played Elliot’s school nurse. She also wrote the screenplays for The BFG, and The Twilight Zone: The Movie, but lived a relatively anonymous life, out of the spotlight – despite being married to Harrison Ford. Unfortunately, she died at the age of 65 in 2015, but her stories continue to spread joy across the homes of millions of families all around the world. Ted Tally is responsible for the screenplay adaptation of one of the most notorious thrillers of the 1990s – The Silence of the Lambs (1991), rated number 23 in the IMDB Top 100. Based on the novel by the more widely known, Thomas Harris, Tally managed to extract every possible tension, bringing this classic monster movie to a climactic forte on the screen. The real skill of the screenwriter is to give us enough to maintain our interest and hold off the climax until we can’t bear it – and The Silence of the Lambs is a perfect example of a man in control of the page. Ted Tally is also known for All The Pretty Horses (2000), Mission to Mars (2000), and Red Dragon (2002). After a sixteen year hiatus, he’s back with 12 Strong (2018). Robert Rodat wrote the screenplay for Saving Private Ryan (1998) – currently rated number 28 in the IMDB Top 100. Very much the action writer, he’s also created the screenplays for Thor: The Dark World (2013) and The Patriot (2000). Away from the typewriter, Rodat has been the Executive Producer and writer responsible for the TV series, Falling Skies (2011-2015). Michael Blake’s finest movie hour was Dances With Wolves (1990). The screenplay was based on his own novel, and the movie is currently ranked at the number 59 spot in the IMDB Top 100. However, his movie zenith fizzled out almost as quickly as it began – but when one movie wins 7 Oscars, including Best Writing (Screenplay Based on Material from Another Medium), and 36 other recognized industry awards, I guess it’s fine to pull out at the top. Calder Willingham was one of two writers responsible for the screenplay to the Hoffman / Bancroft classic, The Graduate (1967). His other screenwriting exploits didn’t really shake the world; unlike his writing partner for the movie, Buck Henry. Henry went on to pen the screenplays for Catch-22 (1970), Grumpy Old Men (1993), and Get Smart (2008). Larry McMurtry is probably better known as a TV writer, having created many TV movies, and mini-series – none of which are particularly notable. However, he wrote the screenplay for Brokeback Mountain (2005) and the novel, Terms Of Endearment – which was brought to the screen in 1983, starring Shirley MacLaine, Debra Winger, and Jack Nicholson, and won 5 Oscars. David Franzoni wrote the screenplay for Gladiator (2000). His writing credits since have been few and far between, with a single screenplay for the rather mediocre King Arthur (2004). However, his mantelpiece is adorned with an Oscar for Best Picture, and a nomination for Best Writing (Screenplay Written Directly for the Screen), so you could say that he quit while he was ahead. More recently Franzoni has been the Executive Producer for Black and White Stripes: The Juventus Story (2016) – a documentary series. Nearly all of these writers have been crowned with the glories that all writers strive for, but are happy to remain in the background. And sometimes, that’s for the best, isn’t it? Being a screenplay writer might not necessarily get you a table in a restaurant, or spotted in the street, but who needs that anyway? For some, the satisfaction of having their work brought to life on the screen is all the recognition they need – as they can drift back into their blissfully anonymous lives. 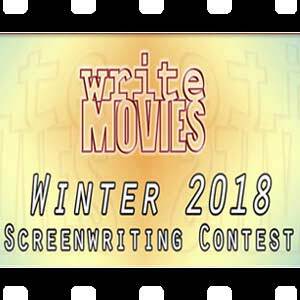 Winter 2018 Screenwriting Contest Winners Revealed! The results are in… Winter 2018 Screenwriting Contest winners are revealed below! Another contest complete, another group of winners revealed. We’ve seen the growth and improvement in many writers who have submitted – something that is reflected by the results! Thank you to all of you who entered for making our jobs of judging the scripts enjoyable. 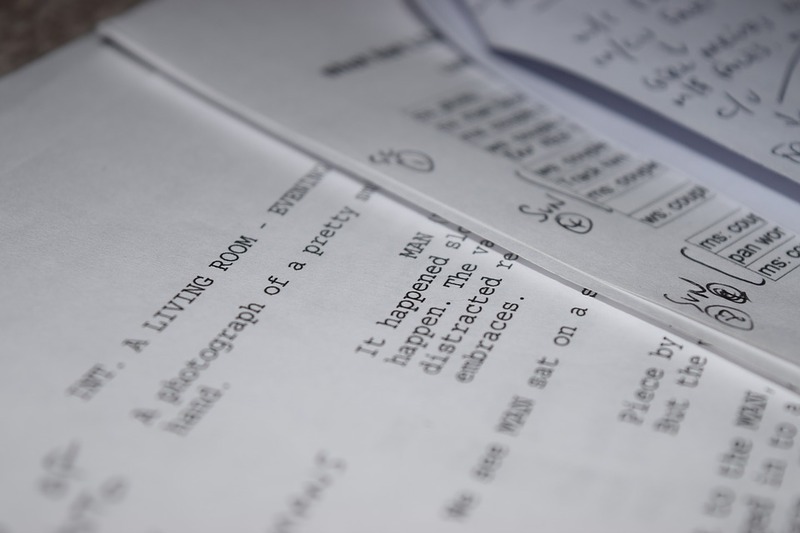 We strongly encourage you to take advantage of our script consultancies to find out why your script placed where it did. Our top 3 now get those for free for the next year! We’ll also pitch and promote the scripts to the top of the film industry. 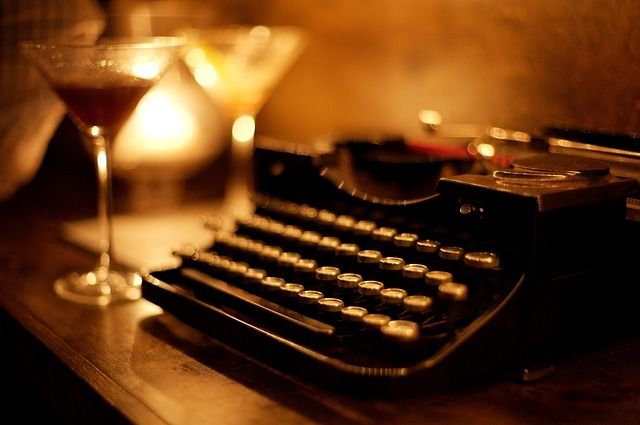 Remind yourself what makes for winning writing HERE. 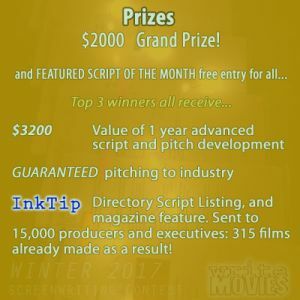 Plus, exclusive prizes from InkTip – an InkTip Script Listing and the winning scripts’ loglines will be featured in InkTip’s Magazine, read by thousands of writers and producers. CONGRATULATIONS to SLAVE SHIP by Tyler True for winning the Winter 2018 Screenwriting Competition! Second Placed Winner, CHARMER by David Kurtz – David has improved on his Third Placed finish in our Summer contest and was so close to taking home the main prize! Good job, David! 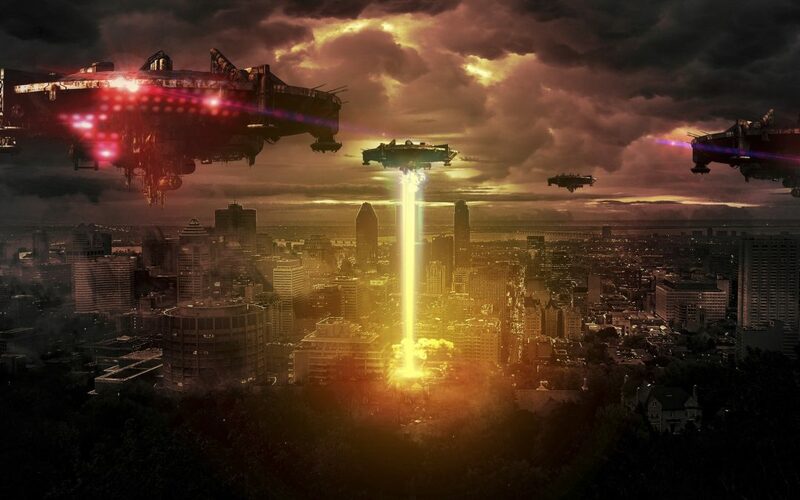 Third Placed Winner, INSURRECTION by Simon Bowler. Another win for Simon following on from his “Best Teleplay” win – another script that has continued to improve over multiple submissions! And, of course, a special congrats to our Honorable Mentions: NEW REALITY by Carolyn Kras, MAGIC MAN by Norma Hickox, THE CRAWL-UP by Gabriell DeBear Paye, VALENTYNE by Dashiell Finley, THE DAWN OF EVE by James Bingham, A Shadow in Space by Bryan Reilly, and THE FOURTH COURIER by TIMOTHY JAY SMITH. A very well done to everyone named here and the many other impressive scripts we read this time round. It’s been a tough field to choose from!